A Giant Gummy Apple!™ keeps the doctor... Well, ok, it may not keep the doctor away but you will really enjoy taking every last bite of this great gummy treat! Weighing in at around 7 ounces, the Giant Gummy Apple!™ comes in our popular cherry and sour apple flavors! 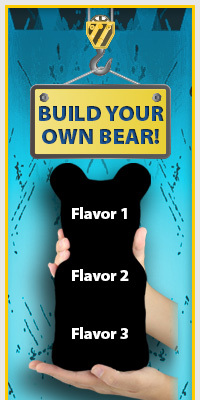 Want both great flavors? Then try a Giant Gummy Apple!™ with worm.